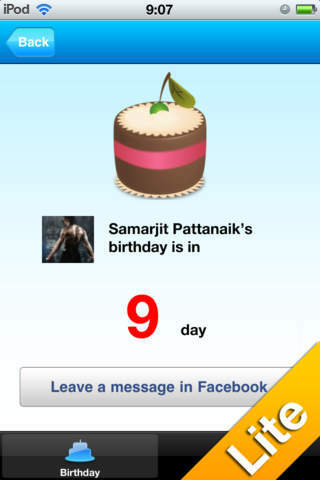 Birthday Pro lite for Facebook is a reminder provides you with information about your friends' birthdays. Birthday Pro lite for Facebook is a simple utility software with such functionality as to remind you about your friends' birthdays in your Facebook. It supports all of the reminding functionalities about friends' birthdays in Facebook. Besides, it supports PUSH, setting alarm time, and other practical functions. 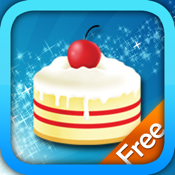 The formal version of Birthday Pro for Facebook has additional functionalities like PUSH and other practical functions. When your friends' birthdays come, you can call, send SMS or email them immediately by the shortcuts in-built. This software will inform you in the most direct-viewing way about today, tomorrow, and the day after tomorrow are whose birthdays respectively, and how many days it takes from now on for other friends to celebrate their birthdays.